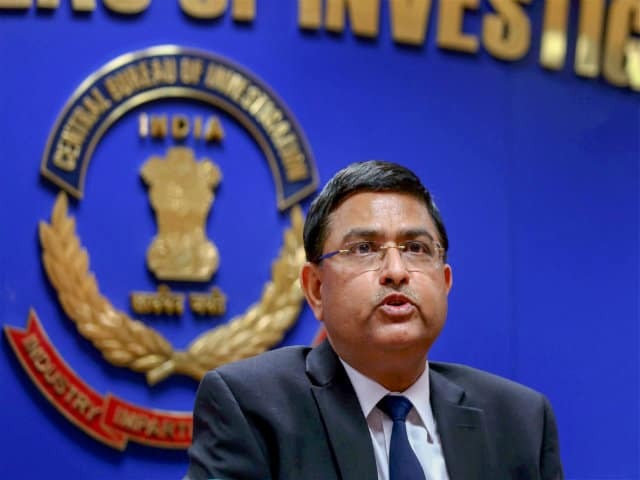 The Hyderabad-based businessman on whose complaint an FIR was registered against CBI Special Director Rakesh Asthana moved the Supreme Court on Monday seeking police protection and a stay on the notice issued by the agency summoning him for interrogation. The CBI booked Asthana on October 15 on the basis of a complaint from Satish Sana, facing probe in a 2017 case involving meat exporter Moin Qureshi, claiming the special director had allegedly helped him to get a clean chit from the probe agency. Besides seeking a stay on CBI’s summons against him, Sana in his petition has expressed fear for his life and sought police protection during the pendency of the inquiry against Asthana, who along side CBI Director Alok Verma has been divested of his duties and sent on leave by the central government. The businessman, in his plea, referred to the apex court’s October 26 order on the petition of the CBI Director by which the Central Vigilance Commission (CVC) was asked to conclude inquiry against Verma within two weeks under the supervision of former apex court judge Justice AK Patnaik. He said that the CBI moved “in haste” to issue notice to him under Section 160 of the CrPC (Code Of Criminal Procedure) to attend the proceedings on October 29 before the probe agency and said that the same be recorded before Justice Patnaik. “This notice dated October 26 was pasted at the door of the residence of the applicant at Hyderabad at 5:30 pm on the same day. It is submitted while the initial investigating officer was AK Bassi, DSP, CBI, the present notice has been sent by Satish Dagar, SP, CBI, the new investigating officer,” he said. Sana said he gave a statement under section 161 before the CBI on a October 20 and on the same day, under section 164 statement was recorded before Metropolitan Magistrate in Saket Court and the relevant statements of the applicant are already in record. He said that he has written a letter to Justice (retired) Patnaik, who would be supervising the CVC’s inquiry into the allegations against Verma, stating readiness and willingness to give statements under his supervision. “It is submitted that the applicant fears that he will be intimidated and threatened to withdraw/modify his statements already made. In case the CBI is permitted to question him without supervision, the applicant perceives imminent threat to his life and personal liberty,” the plea said. He sought the court’s direction that he be questioned only under the supervision of Justice Patnaik. “This will ensure that the interests of justice are met since the applicant came forward as a whistleblower trusting the officials of the CBI. Without casting any aspersions on the present Investigating Officer, the applicant fears that the change in IO and other surrounding circumstances may put his life in danger and therefore seeks a direction to the Hyderabad SP to provide police protection to the applicant till such time as the inquiry mandated by the top court is completed,” the plea said. Sana said he was willing to cooperate with the investigation by coming to Delhi as and when directed by the judge supervising the inquiry. Previous Post Previous Post WHY THINK OF AIR POLLUTION ONLY IN WINTER?